"A fantastic editor for your web applications"
1) It manages to upload images and convert them to base64. This was a great help for us, because we didn't have a dedicated server for uploading images and the majority of WYSIWYG editors didn't have this option only adding a url link. 2) It's an open source editor, it allows us to modify the two aspects we needed for my project. We needed a different design on showing the editor, not the typical rectangle box, but something different. Modifying the CSS was quite easy for accomplish this. The second option was to allowed users to upload images less than 500KB sizes. This aspect was a real plus, modifying the code wasn't so complicated they have well written code and documented for people to used it. There's nothing to dislike of Summernote. They're really helpful on the work they do, their forum is really active and answer quickly to questions about their product. Even development questions regarding the code. So I can't dislike anything of the editor. We used Summernote for creating a web platform for creating tutorials. Uploading images was needed for this task, but we didn't have a dedicated server for uploading. Taking advantage that the editor converted images to Base64 it was really helpful for us the editor, it took us a problem we were having. "Summernote editor got all you need." It is easy to use, plenty of options. Have good look and feel for UI experience. Don’t think you will dislike it, it’s preety cool to use with a nice documentation. More features if it is possible, implementing better UI experience using material design. What WYSIWYG Editors solution do you use? "Summernote is a shining star in the darkness"
It is full featured, fully supported, and most important easy to use. There are some other wysiwig that seem good on paper but have annoying dependencies or styling requirements. If you want to just drop in a wysiwig that works and looks good without stress, especially with bootstrap, you are gonna be so happy! That I tried to use so many others before I learned about it. I spent days going through a list of editors trying and failing to be happy until I tried summernote. I love competition but this is a rare case where I think alot of older wysiwig editors should just do people a favor and refer people to summernote. Easy html in a form. "Summernote is an excellent editor"
I was looking for a WYSIWYG editor to develop personal projects mainly with integration with AngularJS. I've used the CKeditor and TinyMCE however Summernote is lighter and easier to install and customize, has image upload option with drag-and-drop. In addition to all features is an open source editor, and you can modify it and contribute to the community. 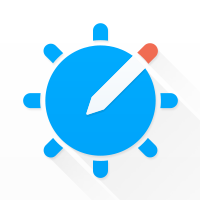 There is no downside in Summernote, it delivers what it promises and its documentation is easy to use, the community always sends modifications and corrections on github to keep up to date and running editor. I used as an editor for websites in text changes to a CMS with image uploads to the server. "A good wysiwyg-editor with a great plugin API"
We needed a simple yet powerful foundation to build upon when we chose Summernote, and it has definitely delivered on this. The best part is the API that is very easy to build out your own customized functionality on. My overall experience is good, but I should mentioned that the documentation is sometimes incomplete. It creates some confusion but not much do to the nicely organised source code. We created a simple but flexible CMS with Summernote and it gave us more time to spend on the product and less spent on the editor. "Simply the best editor for modern browser to date"
Mostly for ease of customization and modern ready in my opinion. It is easy to implement went doing UI development and renders well. Mostly for it support for plugins in case required in the future. If you require a modern editor (WYSIWYG) that works best for preserving formatting then summernote is the best choice. Easy to install and customize for your project especially for UI experience. Currently, for web application that doesn't require too much of WYSIWYG features. Mostly for the benefit of keeping page formats well and ease of use for users. "My first choice for WYSIWYG editors"
Super easy to integrate into existing applications, does exactly what it advertises. Very smooth user experience. I had some issues initially with font icons not working properly, or colliding with my existing set of site icons. It's possible it was user error, or they have fixed it in later versions. Nitpicky stuff on my part, really. There are portions of our application that require blocks of user curated content and Summernote is my go-to tool in these scenarios. Utilizing Summernote has made development so much simpler because it's literally a drop-in addition to our app and it completely adopts the styling we are already using (we are using a modified bootstrap theme). "Contained all the features that we requried." It has the built in option to upload images and embed videos. The uploaded images get converted to base64 format. Server integration and file upload would have been great! Give it a try. You wouldn't want to switch to something else. It is neat and gets the work done! We required the editor for a question answer portal. The benefit of summernote was, that it was easy to use. The major issue which we faced was it lacked mathematical and scientific character input. For questions and answers, we wanted to provide the users with an option to input equations, but unfortunately there was not built-in support for that in summernote. "Summernote got everything you need!" It's very simple to use and can easily understand how to edit with many options. It also allows us to modify and the need to feel for the User Interactive experience too. I don't think there's nothing wrong about it! I do believe this is a great resource and useful for everyone. This was used for one of the start-up business for developing an app with a 360 degree experience. Clean interface design, has worked well for me across several projects. Requiring Bootstrap. Even still, I would love to see a vanilla release for projects that aren't already using the framework. Great for use as part of an internal CMS project. Required no additional training for our users! "A light, easy to use and above all clean WYSIWYG"
The clean markup it produces. Unlike some alternatives, this is quite refreshing to see. That it has dependencies on other libraries (namely bootstrap and jquery). In many scenarios this isn't a problem, but it can be an unnecessary bloat. If you're already using stuff like bootstrap and jquery, do yourself a favor and use Summernote. It really isa good fit and is easily customized to work with any design. I needed an editor component for a simple, light, in-house CMS. Summernote fit perfectly. The best advantage with using summernote and Meteor is that summernote does have a Meteor Package (summernote:summernote). You have to sanitize your HTML, the package might do that on it's own. "One of the bests WYSIWYG editors"
I used Summernote in a couple of projects where I needed to implement a user-friendly way of editing blocks of HTML content. Summernote was very easy to setup and customize for our needs. No downside or advantages found in Summernote, you get what it promises and the documentation is quite complete. Summernote has made the UI development process regarding to HTML editing much simpler resulting in less implementation time. Nothing much to complain, it seems doesn't have language pack? Froala is another strong competitor but Summernote is FOC. I first started to use summernote 4 years back. I need something light, easy to configure compare to ckeditor. Summernote for the bill perfectly. "Did what I was looking for"
It gave us all of the features we we're looking to implement. That it used to style with span tags, although I later discovered that there was a flag setting to turn this off. A way to have rich text editing on some form inputs for our site. it was easy to setup. didn't require anything ab-normal. could use better documentation. I like more examples, more variations are handy to have. better experience with some of my users submitting content. * We monitor all Summernote reviews to prevent fraudulent reviews and keep review quality high. We do not post reviews by company employees or direct competitors. Validated reviews require the user to submit a screenshot of the product containing their user ID, in order to verify a user is an actual user of the product. Hi there! Are you looking to implement a solution like Summernote?